Fishing is a way of life here in Northeast Montana. In the summer, we take to the lake on our boats and troll along the shores for hours. So when the winter comes and the waters freeze, we do not let a little cold stop us from getting out there and spending time on the water. Learn how to ice fish in Missouri River Country and have family-friendly fun on our frozen waters. Check ice conditions before heading out and always put safety first. Ice fishing is a sport which involves drilling holes into ice and using lines, hooks, and spears to fish through the open hole. Be sure to dress for the weather and the water. It can get quite cold on the ice in the winter. When can I go ice fishing? 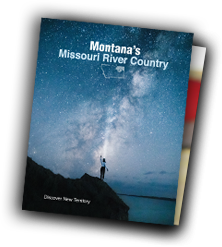 Missouri River Country has some great options for ice fishing in the winter. The best place to start is Fort Peck Lake and its many marinas. The Lakeridge Tackle Shop, Fort Peck Marina, Hell Creek Marina, Rock Creek Marina, and Nelson Reservoir are a few great places to get started and get the best fishing tips. Ice fishing is a great sport for all ages. Kids and adults alike can have fun and learn a great winter sport together. When is the best season for ice fishing? The dead of winter is the best time to ice fish, and conditions all depend on ice thickness. Many people fish from a boat or from the shoreline, though others venture out onto the ice. Ice greater than 4 inches thick is considered strong enough for fishing on foot. Ice thicker than 5 inches can support a snowmobile, and ice 8 inches thick or more can support a small truck or car. Ice 12 inches thick or more can hold a medium truck. Contact a local shop or marina to check ice conditions as cold temperatures do not always mean thick ice. How can I experience ice fishing? 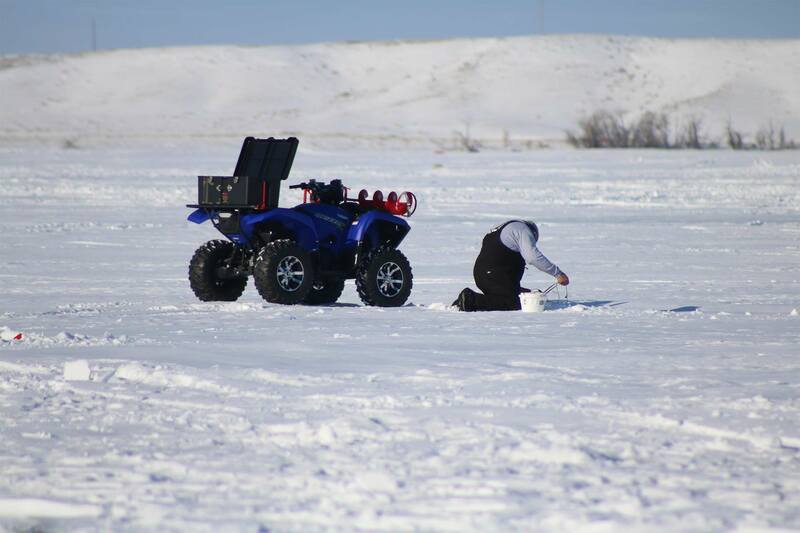 There are many ways to experience ice fishing in Missouri River Country. If you would like to learn from the pros, a number of marinas can assist you with guided tours. Experience the culture around ice fishing by planning a visit around an ice fishing tournament. Nelson Reservoir hosts a tournament each year.